Brand new release forthcoming on the Blood and Fire reggae reissue label. Text below is from their release sheet. This latest reissue in Blood and Fire's ongoing Yabby You program comprises the 1977 album "Deliver Me From My Enemies" in its entirety, with an additional dub of the title track, plus 4 tracks that appeared as 12" singles during 1977-8. Also included are two previously unreleased dubplate mixes of the album track "Pick The Beam", mixed by Prince Jammy. 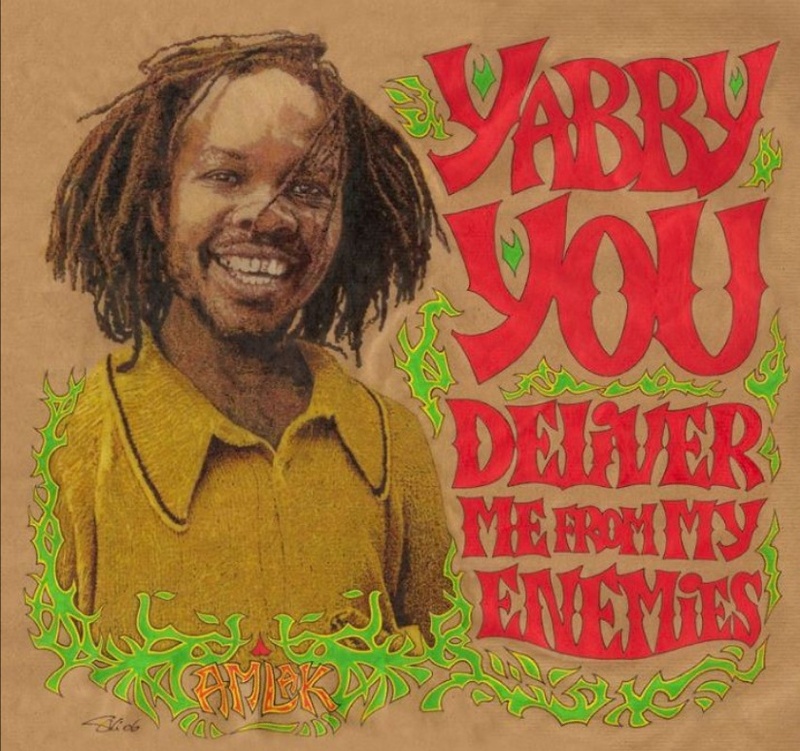 The whole album was mixed at King Tubby’s studio and is the last of the classic trilogy of mid / late 1970s Yabby You albums that also includes "Conquering Lion" and "Walls of Jerusalem" [both available on the "Jesus Dread" box set BAFCD 021]. Backed by an all star band featuring Sly & Robbie, Clinton Fearon and Albert Griffiths [Gladiators], Chinna, Ansel Collins, Touter and Tommy McCook, Bobby Ellis and Vin Gordon as the horn section, the set features Yabby and the Prophets at their peak, offering a beautifully-crafted set of heartfelt and deeply spiritual songs. The front cover showcases original artwork by celebrated poster artist Ski Williams, and the package also includes the original LP sleeve notes by Linton Kwesi Johnson. Is there a link to Mr. Yu?